For bicyclists, sharing the road with other vehicles can be dangerous. It only takes a moment of distraction for a bicycle accident to occur. A bicycle accident lawyer can help those injured a bicycle accident seek restitution for their injuries. One of the most common types of bicycle accidents is the right cross. Learn more about this type of accident as we take a closer look at bicycle accidents and the right cross. If you live in or around San Francisco, CA, San Jose, CA, or the Bay Area and have been injured in a bicycle accident, please contact Sumner Law to learn more about your legal options. What Is a Right Cross Accident? A right cross accident is a common type of collision between bicycles and cars. Right cross accidents occur when a bicyclist rides close to a street curb and a car or other vehicle pulls out from a side street, parking lot, or driveway. A bicyclist may end up colliding with the side of the car. Use bicycle lights and reflectors: Whether riding during the day or at night, bicycle lights and reflectors help make you more visible on the road. 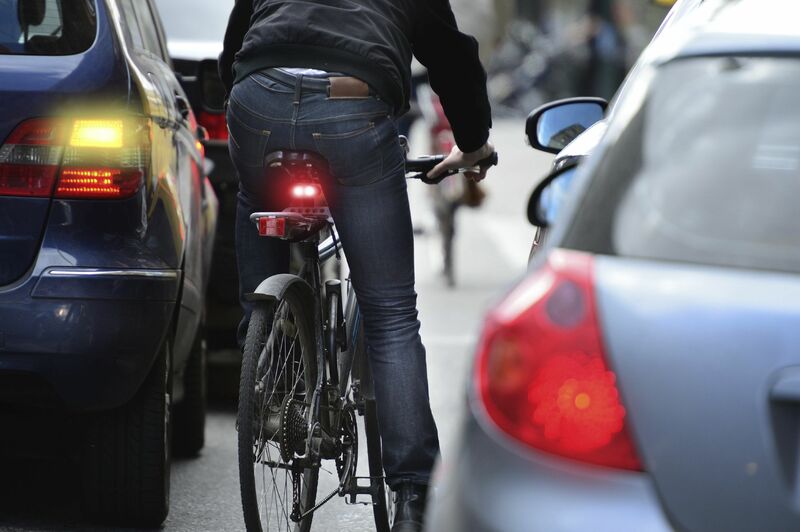 Be sure to have lights and reflectors on the front, rear, and wheels of your bike. Adding a light to your helmet can also be helpful as it raises the line of sight. Be prepared to brake: Although drivers exiting a driveway or parking lot without a traffic signal must yield to oncoming traffic, including bikes, they may not always see a bicyclist approaching when they decide to proceed. Bicyclist should ride defensively and be prepared to brake or slow when approaching a side road, parking lot entrance, or a driveway. Ride further out from the curb: Ride further out from the curb, but not so far that you interfere with the neighboring car lane, to improve your visibility. Use a loud bike horn: Attach a loud horn to your bike to help draw a driver's attention to you in the event the driver doesn't see you. If you have been injured in a right cross accident, you may be entitled to compensation for your injuries and other damages. Bicycle accident lawyer Scott Sumner is available to review the details of your accident to determine the best legal option for your situation. Contact Sumner Law to schedule your consultation.